If you wish to get a ride to Atlanta airport, our party bus and limo rentals will come of use. We offer a statewide as well as a country wide rental operation that includes quality vehicles at affordable rates. Get a ride to the airport in comfort or a luxury ride pickup from the airport. Our bus rentals for trips work well for groups who are here for work or leisure purposes. With our agency portal you can easily make a booking online for your ride to and from the airport. Those who wish to make a booking of our party bus rental Atlanta will find it easy to make a hire. You can call in at our call center numbers to make a booking on the go. It is also possible to place a booking online. Whether you are looking for a wedding bus transportation or a coach for airport transfers, we advise customers to book as per the number of passengers traveling. Our service offers shuttle buses, motor coaches, party buses and charter buses for hire. These can accommodate people from 14 to 50. We recommend to our customers to choose the model as per the amenities they require or number of people traveling on board. 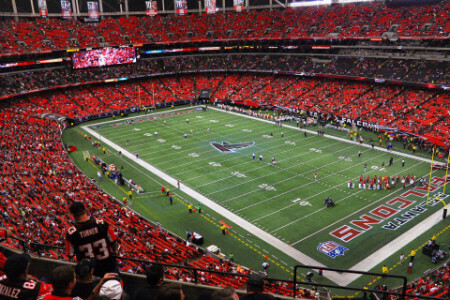 For special occasions take advantage of our limo service in Atlanta. We have different kinds of exclusive models for hire such as Hummer Limos, Cadillac Escalade, 2016 Chrysler 300 LIMITED, Mercedes-Benz, FORD Excursion, BMW and others. Hire one of our exclusive limos for your wedding or for accommodating wedding guests. Many people love a luxury pick up and drop in our latest limo models. When you hire limousines or shuttle buses from us, remember the passenger capacity. These usually accommodate two to fourteen people with ease. Get the right prices for rentals from our agency which is competitive in this region. With our packages you will not go wrong, especially if you have to go the nearby airport Hartsfield Jackson Atlanta International Airport (ATL). We also offer packages for wedding groups or to celebrate other special occasions. You will also find attractive discounts on our rentals from time to time. 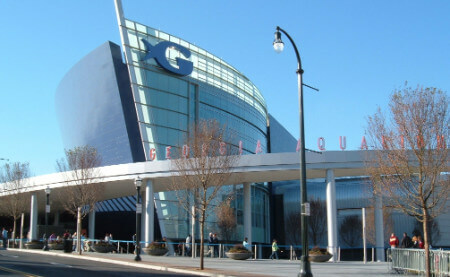 Georgia Aquarium – this is an aquarium where over 120,000 animal species are kept on display in natural habitat. Centennial Olympic Park – it is the site of the Olympics that was held in 1996. Many visit this popular landmark when they are in town. World Of Coca-Cola – this popular food and beverage giant has a museum here dedicated to the decades of its operations and hallmarks of its different products. It is convenient to travel to nearby cities with our bus rentals for parties or travel. You could be traveling to places like Belvedere Park, Sandy Springs, Doraville, Decatur, Gresham Park, College Park, Druid Hills and others.